DESCRIPTION: Well behaved women rarely make history! 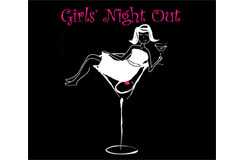 Give your best gal pals a call and join us for an evening out just for the girls. We will do all the prep and the clean up as you and your girlfriends make a fabulous menu heavy on the appetizers and chocolate! It promises to be a fabulous evening, because we all know that “girls just want to have fun”!